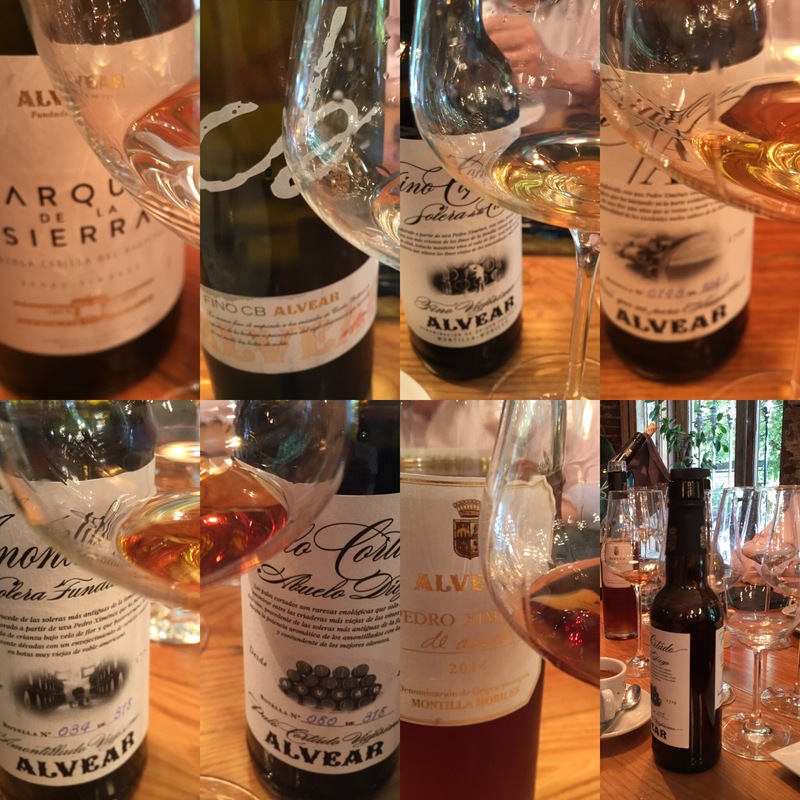 The most magnificent lunch today at Lúa with Bodegas Alvear and a chance to try a “vertical” of the full range of their fantastic new releases. As always I will need some time to write up my notes but it was a class occasion: seven very different bottles, some of them pure magic. The differences were fascinating in fact. 100% pedro ximenez all the way but wines of every style and flavours and aromas of every kind. The food wasn’t half bad either – we let the sommelier pick the food and everything from the ensaladilla to pulpo, to mollejas, to merluza and on to canutillos was perfect with the wines (I am forgetting at least one thing too). Highly enjoyable and a real effort to go back to work afterwards.